Toxic chemicals which could cause cancer and asthma have been found close to Grenfell Tower, a study has found. People living near the tower have complained of health problems from vomiting and coughing up blood to skin complaints and breathing difficulties. 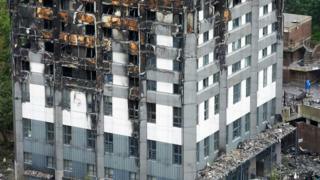 The government said the risk to health was "generally very low". Soil samples were gathered six months after the fire by Professor Anna Stec, who said the levels of toxic chemicals found were "many times higher than normal". She said: "Fires release a rich cocktail of pollutants, many of them acutely or chronically toxic. "There is an increased risk of a number of health problems to those in the local area, from asthma to cancer." The team from UCLan analysed soil and debris samples taken from six locations up to 1.2km from Grenfell Tower. The study uncovered "significant environmental contamination" in the surrounding area, including in oily deposits collected 17 months after the tragedy. Based on the level of chemicals discovered, researchers concluded there was an increased risk of a number of health problems to those in the area. Natasha Elcock, chairwoman of Grenfell United, said the findings were "alarming and hugely upsetting to read". She said: "Twenty-one months after the fire the government has yet to carry out a single soil test or offer a proper health screening programme to the community. "When this report first came to light in October last year, it was left to the bereaved and survivors of Grenfell to fight for government and professional experts to meet with our community. "Testing in the community must start immediately and by immediately, we mean yesterday." 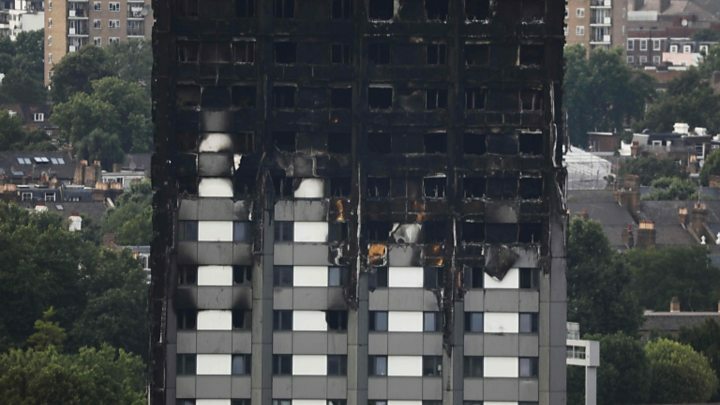 Researchers said the substances were discovered in quantities that could indicate they resulted from the burning of specific materials used in the 2016 refurbishment of the tower. Prof Stec said there was a need for further analysis to "quantify any risk" of conditions such as cancer, asthma and other respiratory problems. She added: "There is undoubtedly evidence of contamination in the area surrounding the tower, which highlights the need for further in-depth, independent analysis to quantify any risks to residents. "It is now crucial to put in place long-term health screening to assess any long-term adverse health effects of the fire on local residents, emergency responders and clean-up workers." Public Health England has been monitoring air quality around the tower since the fire and said in a report last week the "the risk to public health from air pollution remains low". A spokesman said: "We take Professor Stec's findings extremely seriously and fully appreciate the ongoing health concerns. "We have established a comprehensive programme of environmental checks to fully assess the risks and take appropriate action. "Professor Stec is part of an independent group of scientists overseeing this work and her findings will inform the checks we are conducting."